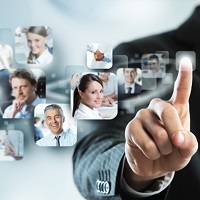 Guru Placement Division has an expertise in providing the seamless and world-class Staffing Solution to the many reputed companies. We specialize in Mass Hiring and in providing Outsourcing Staff Solutions. Knowing that providing competent Staffing Solutions is not a trivial thing, we have employed dedicated and highly skilled recruiters having the know-how of manifold industries, which enables them to fulfill the exact recruitment needs of the diverse clients. Till date, we have provided competent accounting staff, backend and front end staff, quality management staff and other staff to the many companies. Guru Placement Division has a specialization in providing the clients with highly effective Mass Hiring Solutions. Our Mass Hiring Strategies are professionally managed and enable us to provide competent Mass Hiring Services, time and again. Whether itâ��s a small, medium or large organization, we undertake cost-effective Mass Hiring for all of them. Therefore, whenever your company is in dire need of reliable Mass Hiring Solutions, come to us and rest assured; for we can and will provide you with nothing less than the best. Since Staff Recruitment is an integral part of an organization, it is being outsourced to the professional Employment Agencies, these days. The basic motive behind several organizations Outsourcing Staffing Solutions is to focus on their core business. Understanding all this, we, at Guru Placement Division, having in-depth knowledge about the Recruitment industry, provide efficient Staff Solutions to the clients. Our Staff Solutions not only help in clients in cost savings but also in improve quality of their manpower.